1. What sparked your interest in France? I’ve been interested in travel and other cultures since I was a child. I met a French student when I was in junior high school and quickly became enamored with the music he shared, the language, and the general exoticism of something so different. I was disappointed that communication was challenging and decided I would study another language. My high school offered French––I started then and stuck with it. 2. 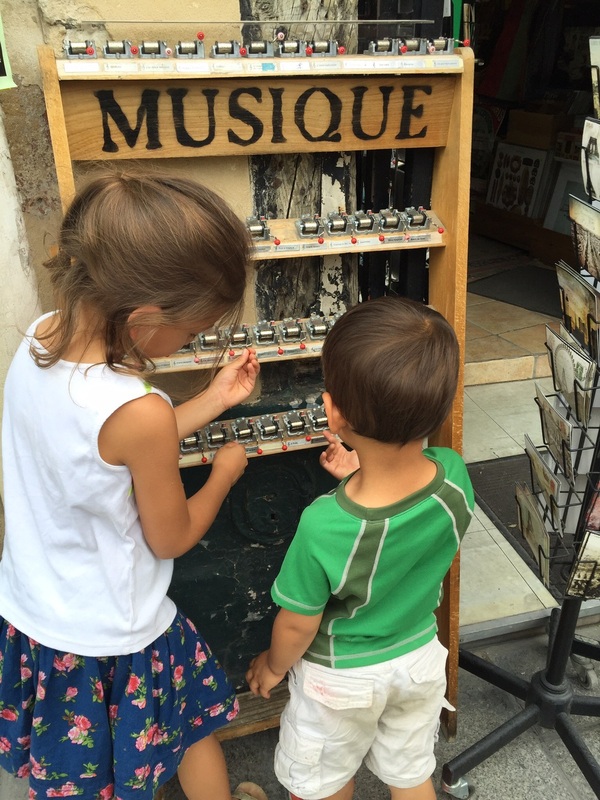 How much time has your family spent in Paris and what have your experiences been like? My oldest daughter has probably spent about a year in Paris over the course of many summers and holidays, a bit less for the younger two. Traveling with an infant is different than visiting with an eight or ten-year-old child, but it’s always been amazing. I encourage parents to be flexible. Any challenges we have at home, whether it be a picky eater, an erratic sleeper, or a child who has trouble behaving in a restaurant–all of those challenges follow us when we travel. More often than not, a trip abroad will exacerbate them. I try to expose my kids to new foods before we leave, and allow plenty of time in our travel plans to rest and recover from jet lag. I try to include them in the planning process so that they’ll be emotionally invested in the trip. Sometimes we take virtual art tours online before we leave –it’s easier to get the kids into a museum once we’re there because they want to see the work in person. I write down their must-dos (which always include food) and plan them into our days. 3. What do your children think of Paris? If they’re not francophones, do they find the language to be a barrier? They are in love with Paris. I’m always pleased and amazed at how my daughters, who don’t speak French, manage to transcend the language barrier and make friends with local kids on playgrounds. Inevitably they leave with a handful of new French words tucked into their memory. These words later surface, surprisingly, at contextually appropriate moments. As my kids get older, they become more aware of their linguistic limitations but don’t seem discouraged––I think it motivates them to learn. 4. What are your girls’ favorite places in Paris? 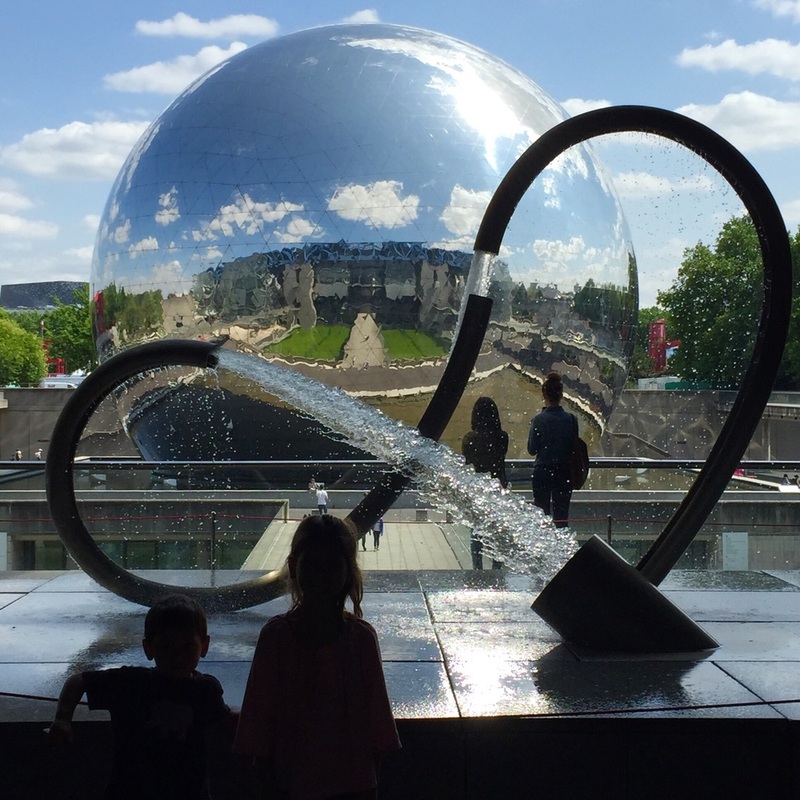 As a family, we love the big gardens: the Tuileries, Jardin du Luxembourg and Champ de Mars because of the amenities for kids and the mix of international visitors. We tend to stay in the same district so my girls have their favorite pâtisseries. They are also crazy about macarons but a bit less discriminating, so I usually pick up a mix and we have taste tests to compare. That’s great fun. 5. What is your favorite Paris arrondissement and why? I like to stay in the 6th arrondissement to be close to Jardin du Luxembourg. The garden has elaborate play structures (with swings, slides and a mini zip line), an indoor marionette theater, Charles Garnier’s vintage carousel, pony rides and model sailboats for rent in the Grand Bassin. It’s easy to while away an entire day. The neighborhood is convenient, within walking distance to most major sights. It makes getting around easier, especially with small kids. I also enjoy some of the more dynamic areas of the city such as the 10th and 11th arrondissements. There is incredible food in these areas and in many ways it's more accessible than the 6th. Paris is a city with dizzying real estate prices and these are the neighborhoods where young families can afford to live. 6. 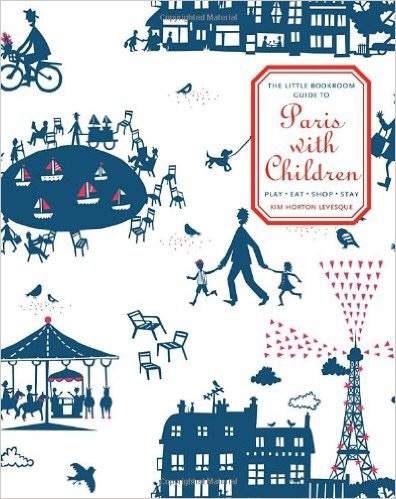 Your book Paris with Children is such a jewel of helpful information in a convenient little size. If it were larger, what information would you like to add? Thank you! I’m glad you’ve found it enjoyable and useful. My kids are growing up. It’s been a few years since I researched the book and I now have a 10, 8 and 5-year-old. If I update it, I would like to include more for older kids. I’m also anxious to update the “Eat” listings because so many more delicious and innovative cafés and bakeries have opened since I wrote it. Kim's reference to the Jardin de Luxembourg took me straight back to the lovely afternoon we spent there this past month. 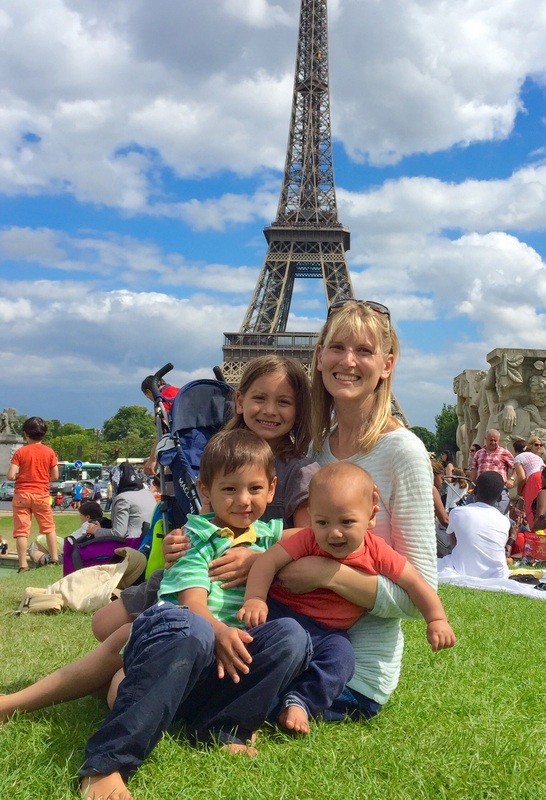 Her book is as helpful as it sounds, and if you'd like a chance to win a copy, leave a comment on this blog post telling me where you'd like to take your child(ren) in Paris. Sorry, shipping available to U.S. addresses only. The winner, selected at random, will be announced here on Wednesday, August 19th. Bonne chance! Good luck! The winner of this book giveaway is Minnesota Mom. Merci for joining us here at Intentional Mama!